It's Sunday evening and it's raining here. Tomorrow is Monday and it's important day today because mommy need to make sure that children's school uniform and shoes are ready for them tomorrow. Being mommy of two boys, I need to have good eyes to check on son's stationery as well. No kidding, we need to check whether we need to replacement eraser or ruler in the pencil box. We cannot take our eyes off our children too. 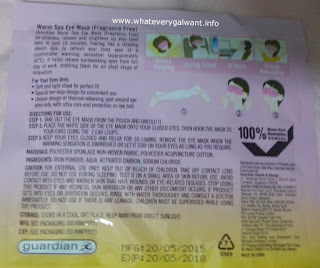 With guardian Warm Spa Eye Mask, you no longer have to wait till you are at home to give your eyes some well-deserved pampering moments. Available in Lavender and Fragrance Free, the mask is self-heated and refreshes and soothes tired eyes in 10 minutes. Above that I am using is the Fragrance Free, this has special ear loop design for convenient use. It is soft and light sheet for perfect fit, I know many of you might think this look like a sanitary pad. But it's not, this unique design of thermal-releasing spot around eye area only, with ultra care and protection on eye ball. Its compact and user-friendly design means it could easily be toted in one’s purse or carry-on luggage, perfect for the busy career woman on the move. Whether you are travelling or in the office, the guardian Warm Spa Eye Mask has just amped up your 10-minute power rests to the next level. With its unique heat zone design, it heats the area around the eyes, taking care to soothe the contours while protecting your actual eyes. 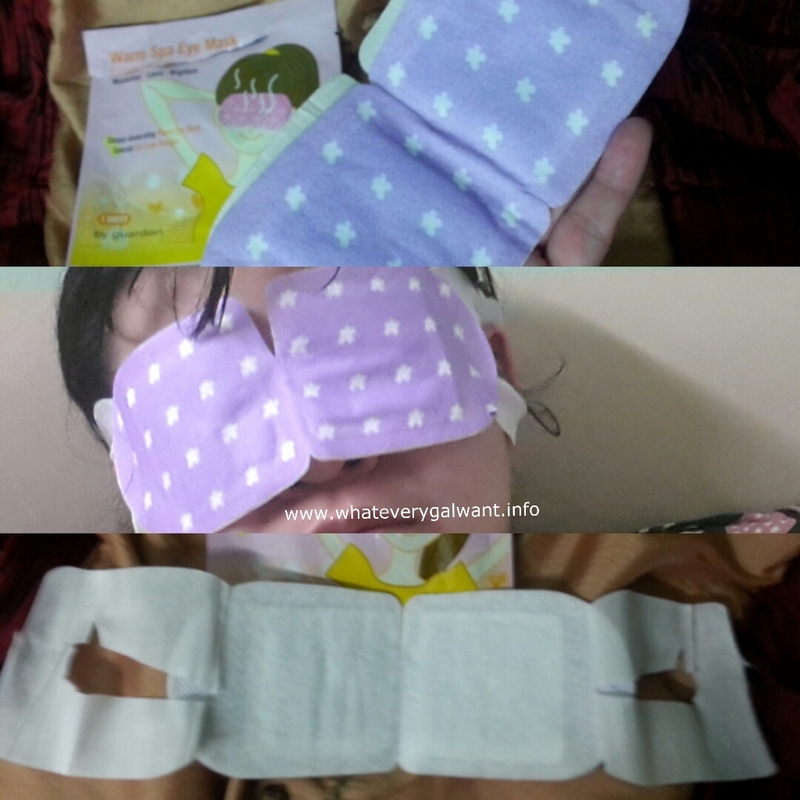 Warm Spa Eye Mask retails at RM19.90 per box with five sheets. 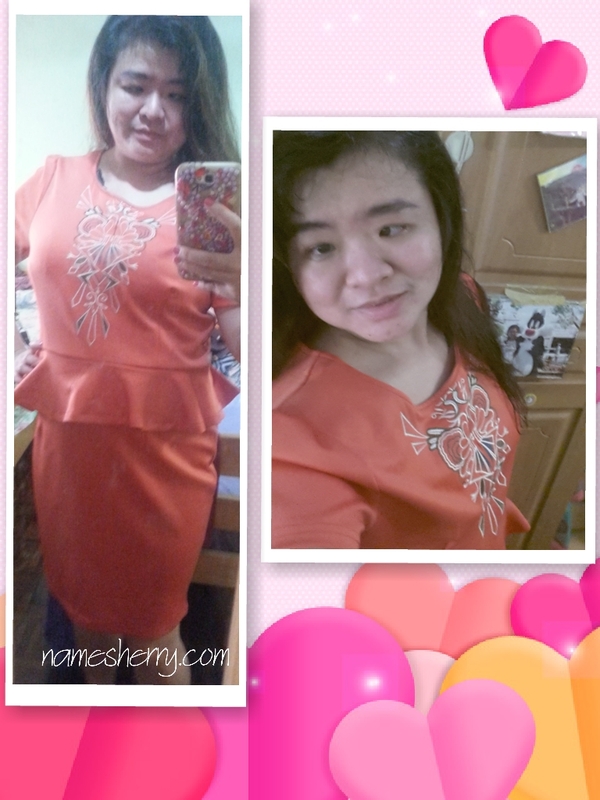 You can find this product in Guardian. looks very interesting haha! usually eye mask go holes in it so we can still see, but this you need to really take some rest. Never know about this eye mask before. I need a good eye mask every couple of days because I have dark circles and it gets worse if I don't have enough sleep. I tried wearing eye mask but it makes my other senses too sensitive when my sights are blocked. 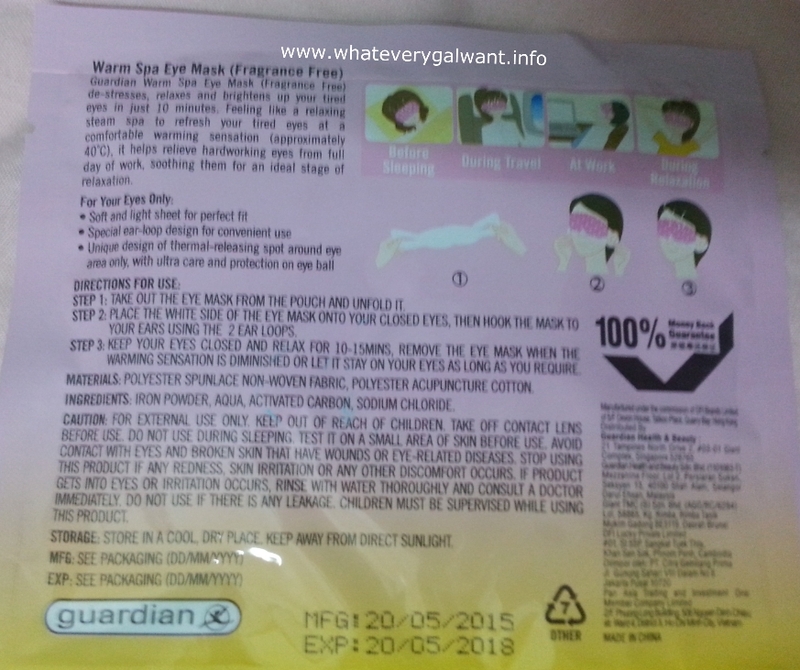 Eye mask is a craze in Korea and I bought some home. And it really does energize your eyesight and help to eliminate your eyebags too. such a relaxing product, put it on then can sleep. and be refreshed after! Honestly didn't know that Guardian had this dear. Should give this a go.